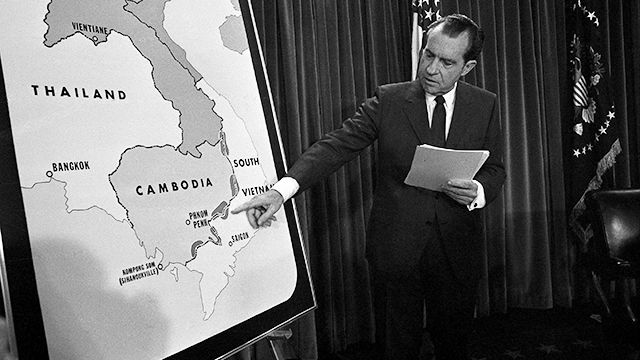 Nixon points out where numerous evil speculators were suspected to be hiding. No, wait… actually, Nixon points to the black hole that has swallowed countless lives and a great deal of treasure under his and his predecessor’s watch – ultimately leading to the US default on the Bretton Woods gold exchange standard. Of course, any objective student of history knows that this was a lie and that it was not “speculators” which were causing monetary instability, but the U.S.’s own crazed inflationary policy which attempted to fund its imperialistic endeavor in Vietnam while expanding the welfare state at home. This resulted in the Treasury losing an alarmingly amount of gold reserves to other central banks who rightly sought real value in exchange for depreciated American greenbacks. In essence, Nixon’s decision ended gold redemption and placed the U.S. and the rest of the world on a purely fiat paper standard for the first time in recorded history. By doing so, the U.S., in effect, became a deadbeat nation which no longer honored its obligations and was set on the road to its current banana republic status. Instead of impeachment proceedings and his ultimate resignation for the juvenile break in at the headquarters of the nation’s other ruling crime syndicate, Nixon should have been imprisoned for this deliberate and destructive act which has led, in large measure, to the nation’s crushing and insurmountable debt burden, reoccurring booms and busts, and now economic stagnation. The televised announcement of the gold default, with Nixon telling blatant lies to defend the decision, in addition to lying about its “temporary” status while revealing his economic illiteracy at the same time, all in the space of a mere four minutes. Nixon’s disastrous decision had precedent. FDR had his own day of monetary infamy in 1933 when, by Executive Order 6102, he outlawed the private ownership of the precious metal while eliminating gold redemption by banks for dollars. 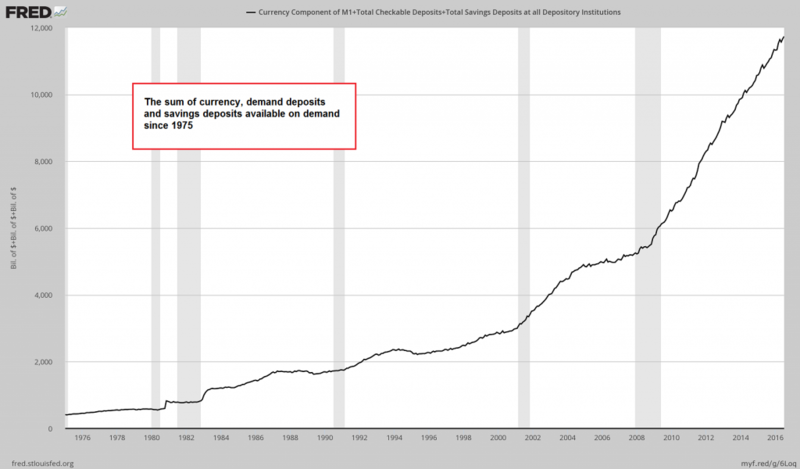 Ostensibly, the order was instituted as an emergency measure to combat the Depression, but in reality, it was done to allow the Federal Reserve greater “flexibility” in inflating the money supply. While Roosevelt and Nixon’s decisions would backfire economically, their actions highlighted the totalitarian direction that the federal government and its executive branch were heading throughout the 20th century. 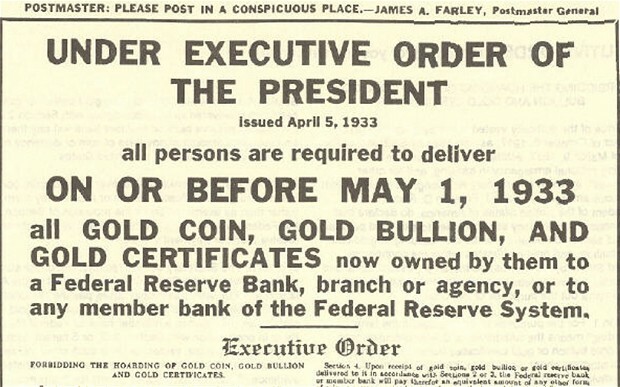 FDR’s infamous gold confiscation decree of April 5, 1933. This was soon revealed as a blatant act of theft; people were paid $ 20.67 per ounce they delivered – shortly thereafter, FDR decreed that the paper dollar was to be devalued to $35 per ounce (a number he reportedly pulled out of his hat). Moreover, the lack of opposition or protest to blatant executive dictatorial decrees by either the legislative or judicial wings of the federal government demonstrates again the flawed and frankly naive argument put forth by Constitutionalists of every ideological persuasion on how the celebrated “separation of powers” theory checks tyranny. Nixon’s final abandonment of the gold standard had far greater ramifications than simply bad economics. Without the discipline of hard money, central banks could, and did, create massive quantities of paper money and credit, which enriched the politically connected financial elites and the governments which they were aligned. Such power was used, in time, to control, spy on, and regulate the subject populations to a degree never seen before. The power of the state has swelled mostly through bank credit expansion without worry of gold redemption. And they have indeed created massive amounts of funny money in record time. The above chart shows the most important components of the broad true US money supply TMS-2 since 1975 (including various memorandum items, TMS-2 is currently approx. $400 bn. higher, but these three components represent the bulk of the true money supply; we have combined only these because the data are going further back, allowing us to show a longer term chart). An interesting aside are the enormous jumps in the money supply under supposed “inflation fighter” Paul Volcker in the early 1980s. Despite what is taught in social science courses, a true gold standard is a greater protector of individuals’ economic well being and, ultimately, their political liberty than any legislation or “rights” document ever penned. Hard money limits state power! Richard Nixon’s elimination of the last remnant of the gold standard over four decades ago combined with FDR’s earlier decree has fulfilled to the detriment of the American and world economies Baron Rothschild’s adage to a T. The return of prosperity and individual liberty will only come about when both of these heinous acts are eradicated. A five dollar “Indian Head” half-eagle from 1909. As long as gold was the nation’s money, government spending in peacetime never exceeded approx. 4% of GDP. Government was but a footnote in most people’s lives, which is precisely as it should be. This article appeared originally at the site of Antonius Aquinas.